The three-day event that is the Italian go-to place for fitness, wellness, pool and spa professionals has just finished in Bologna. It will come back next year with a Gallery format from 19th to 21st February 2020. Excellent figures: 150 exhibitors, many from abroad (20%), 70 educational events with world-famous speakers, and over 7,500 professionals at the 20th ForumClub and the 11th ForumPiscine. Bologna – Farewells and promises to meet again soon have already been exchanged. For managers, owners and technicians of public and private swimming pools, wellness clubs and spas; for architects, designers and public authorities; for operators, managers, owners of fitness and wellness centres and sports clubs, the new dates to be pencilled in their diaries are February 19th, 20th and 21st 2020. These are the days that they will have to spend at the next ForumClub-ForumPiscine, which is ending 2019 with an exceedingly positive result. Over 7,500 people visited the exhibitors who brought to the Bologna Fairgrounds lots of equipment, furnishings and accessories for fitness, wellness and water centres; facings, floors, finishes and products for swimming-pools and spas, management software, safety systems, energy-saving appliances, and lots more. The numbers of foreign visitors are extraordinarily good too: foreign companies accounted for about 20% of the total (the largest groups came from Austria, France, Germany, Israel, Holland and Spain). It was a great success for the two exhibitions held in Hall 19, first and foremost the exhibition of projects competing for the Italian Pool Award, the award promoted by the magazine Piscine Oggi to showcase the very best of public and private swimming pools designed and built in Italy. Another big hit was Surfaces, the event that showcased internal and external facings for swimming pools and spas, with a focus on natural materials, ceramics, mosaics and applications, in a layout dotted with pictures and photos of the most intriguing residential and communal projects. 70 events, including conferences with paid admissions and free meetings, with over 80 speakers – known all over the world – such as professionals, experts and businessmen: a first-rate team that deployed an unprecedented range of educational events. The focus of the debate was on new trends, the most innovative marketing and management tools as well as energy and water-saving regulations and solutions, and the – always very topical – problem of safety. The 2019 Italian Pool Awards were won by GM Piscine in the Outdoor Residential category; Indalo Piscine in the Indoor Residential category; Mirani in the Outdoor Commercial category; Studio TECO+ in the Indoor Commercial category, and Tschigg Garden for its bio-pools. The Special Facebook Award went to SYS Piscine – Piscine System 2000, with 1,121 “likes” given by users. The competing projects posted on the profile of the event were shared over 1,500 times and received 1,000 comments, as well as over 9,000 likes. Il Nuovo Club, the magazine that has been championing fitness and wellness culture for over 30 years, decided to give the 2019 Club Awards to Club Interamnia of Teramo, Body Studio Emilia of Palermo, and McFIT Italia, in the Innovation, Club of the Year and Special categories, respectively. 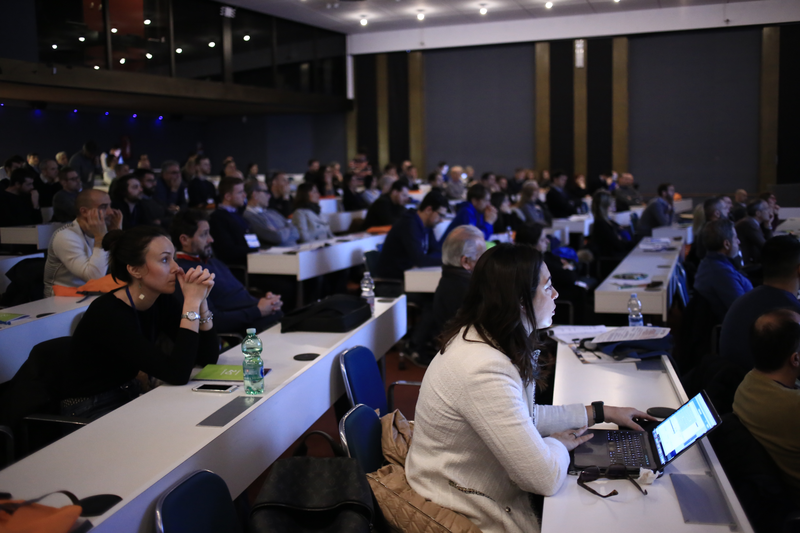 Organised by Editrice Il Campo in partnership with BolognaFiere, ForumClub-ForumPiscine 2019 was sponsored by Canali System, DFM Italia-Aquatech Group, ICS-Istituto per il Credito Sportivo, Renolit, Team System and Technogym as Top Sponsors; by Anthea and SCP as Sponsors. Other supporters included: AIAPP, ANIF-Eurowellness, Assopiscine, Federterme and FIN, as well as the Emilia-Romagna Region and Bologna Metropolitan Area.